For the first time in 39 years, early-morning broadcaster Al Roker overslept and missed a show. 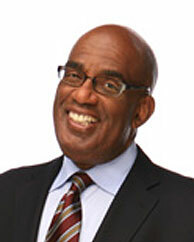 Ironically, Roker did not wake up in time Tuesday to make it to “Wake Up with Al” on the Weather Channel. Co-workers gave him a hard time for his mistake, calling him “Rip Van Roker”. I think we should give Al a break on this one. Late for work only once in 39 years? That seems like a pretty good record! What is really sad is to see so many people sleepwalking through life. They never seem to wake up spiritually, no matter how many wake-up calls they receive. Don’t sleep your life away. Jesus says, “Wake up! Strengthen what remains and is about to die, for I have not found your deeds complete in the sight of my God. Remember, therefore, what you have received and heard; obey it, and repent. But if you do not wake up, I will come like a thief, and you will not know at what time I will come to you.”—Revelation 3:2-3. This entry was posted in Christian Living, Current Events, Humor and tagged Al Roker, illustration, overslept, Revelation 3:2-3, spiritual awareness, time to wake up, Weather Channel. Bookmark the permalink.